*Waiting for applause to die down* YAY!!! Congrats! Please email me your first page to info@jamieayres.com I thought you may want to fix some things based on suggestions instead of just sending her your blog address. I will forward it to the fabulous debut author of Halflings. When she’s done with your critique, I’ll email her notes back to you. And speaking of Halflings, I finished reading it early Saturday morning and I must say, I’m kinda ticked at Heather for that ending;) Seriously, great book and those 3 male Halflings are invading my dreams for sure (don’t tell Dan) & I can’t wait for book #2. Ok, I am channeling a bit of Seacrest because I’ve kept you in suspense about who won a copy of her book *evil grin* Are you pounding your desk in drumroll like fashion? JA: Tell us how your book, Undertow, came about.
. . . I have an easy answer: Twilight. It set the YA world alight with vampire lust. However, Undertow does not feature a vampire. But the plot was very much inspired by the Twilight series, to the point where I started calling it Twi-not under my breath. The more I read the Twilight Saga, the more intrigued I became of the idea of a girl who falls in love with some mythical creature. I decided it was quite mad, really. And decided to write about a girl who experiences madness and becomes delusional. You see, Undertow is a realistic story, not paranormal. I suppose most of my stories fall under the contemporary umbrella. JA: Wow, now you’ve got me intrigued. I’ve downloaded your novel onto my Kindle & can’t wait to read it (sidenote: Undertow is also available in paperback). Readers have commented about how Undertow’s plot is quite different than they expected. Do you worry about that? Teendom is an amazing thing. At an age where everything is possible, the future is limitless, and you can try out anything you like, the tendency is to give all that up and just fit in. But does this mentality have to apply in literature as well? Certain trends are saturating the teen book market. It’s a real problem. Sure, there are titles available in lots of categories, but the offerings are heavily weighted in one direction. But that’s a mistake. Because it’s those risks that yield something rich and new. Think Harry Potter, people. Glad somebody finally took a chance on that. And Speak. Thirteen Reasons Why. The Adoration of Jenna Fox. All of which inspired me in a major way, incidentally. Along with Wintergirls, also by Laurie Halse Anderson, who is hands down one of my favorite YA authors. JA: Oooooh, 13 Reasons Why also helped inspire me to write my book, 18 THINGS (which I’ll pitch at that conference this weekend I mentioned earlier so keep your fingers crossed ya’ll). And I just read The Adoration of Jenna Fox last month-LOVED it! 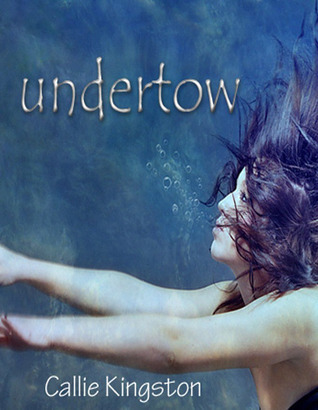 What effect do you hope Undertow will have on readers? CK: Above all, I hope readers will be entertained. That’s the main reason to read fiction, right? Beyond that, I’d love for readers to fall into Marissa’s plight and cheer as she surfaces into a powerful young woman unafraid to take risks. And they might fall for Jim a little bit, too. Then I hope they are inspired to write and share their stories, too. As an author, it lifts me up to know that I’ve connected with a reader this way. The fact I lack any type of wheels while Conner owns a thirty-thousand dollar SUV is an injustice making Communism look good. The school parking lot is deserted aside from a few cars while I wait for him by his Hybrid. One of them, a Lexus, I recognize as belonging to Toe-touch Tammy. As if on cue, she parades like a peacock around the side of the building with two fellow cheerleaders. “Hey, Olga!” Tammy puts out her cigarette on asphalt and blows smoke in my face. I cough but manage to fight off potential asthma attack number two for the day. Waving a geekazoid prop like an inhaler in front of Tammy would be like pulling Star Wars figurines out of my pocket and playing with them. “So, um, like, how was your day? You look so cute waiting here for Conner like a lost puppy.” Her cronies scoff. “I don’t need your permission.” I imagine my face matches the color of my red hair right now. Today is a first on my blog, a real live author interview! She is a busy lady named Heather Burch and her first book, Halflings, was just released into stores this month! I started reading the book last week and am devouring it. JA: Heather, you should be very proud of all you’ve accomplished. Thanks for taking time out to visit my blog amid all the craziness of your book release! HB: Thank you for inviting me! JA: It’s my pleasure! Tell us a little about Halflings & how did you come up with the idea? In Halflings, Nikki Youngblood is being hunted by men and demons. She turns to three half-human, half-angel young men for protection, but when two of her rescuers fall for Nikki, it puts more than their lives on the line. Their eternal souls hang in the balance. I’ve always been intrigued by the words in Genesis “The sons of God saw that the daughters of men were fair and took them as wives.” For years I wondered about it because it didn’t seem to be about human men. Then, I found out some scholars believe it means fallen angels. That thought rolled around in my head for fifteen years or so. I knew I wanted to someday explore a book with angels…I just wasn’t sure when or how. Then, the idea for Halflings came. I also knew I wanted to write something that was one part X-Men and one part Cinderella. Halflings was the perfect combination. There were no angel books on the shelves when I first started writing it, but boy did they appear during the process! I was afraid that I’d missed the timing—Halflings was done for a year before I signed with a literary agent—but when Jennifer Schober signed me, she had an offer in the first six weeks of representation. Now, I can see the timing was perfect. JA: Wow, that’s AWESOME! *running off to jot down the name Jennifer Schober to query later with angel project* What has your writing journey been like from the moment you realized you wanted to be a writer until the moment you had a published book? HB: Long. I started my first novel at age seventeen. Never finished it. Started another. Then, life happened and I didn’t have much time to write. In 2008, I left my career and stayed home to write full-time. I wrote two books a year and Halflings was my fifth completed novel. It’s the first to sell. I’ve heard from other authors that it often takes about five or six completed books to sell. JA: I’ve also heard that, which makes sense, since it often takes 4-5 years to complete college and learn your chosen profession. I think writing should be no different. I cringe when I reread my first manuscript. If you could give us inspiring authors any advice, what would it be? HB: Don’t give up. What if I’d stopped after book four? You must write and write, then write some more! Get involved in an organization like RWA. Great instruction and general camaraderie. Be part of the community and let others read your work. Hone your craft. And don’t spend a lifetime on one book. If you knew right now that book five was a guaranteed sell, you’d write one through four! Stay the course and let others come along side you for support. JA: Amen, sista! Shout out to all my blog buddies & RWA friends for helping me in more ways than you’ll ever know*dabbing eyes with Kleenex* Is there anything you know now that you wish you could’ve told yourself before you went through the publishing process? HB: Getting a contract in hand takes a lot longer than I ever expected and I kept thinking the publisher would back out. I didn’t realize that once the offer is made, the literary agent and the publisher do a back and forth dance about rights, numbers, marketing, a bazillion things. Each amendment to that contract takes time. I was a nervous wreck until I had the papers in my hand. Next time, I will be less stressed. HB: Well, I love theme parks. On December 10th we did a VIP tour of Disney with an awesome tour guide from Create-a-Dream. We hit all four Disney parks and got to ride every roller coaster there. It was the most amazing day ever. I’ll never forget it! JA: What fun! I also LOVE theme parks:) Now who’d like help with their first page to make sure it’s worthy of grabbing an agent/publisher/reader’s attention? *hand shoots up in the air* Wellllll, Heather Burch has agreed to help. This is how it’ll work: If you’d like to participate, then please email me at info@jamieayres.com & post the first page of your manuscript on YOUR blog. I will compile a list of the participating blogs and post them here. That way, everyone can hop around and post constructive feedback on each others first page. I will randomly draw five names to receive a personal critique from Heather Burch, whose debut YA, Halflings, was just released to stores everywhere this month, so please give her a shout out on your blog! I’ll announce the winners on my blog next Wednesday and then contact you with instructions. Also, I will personally visit everyone’s blog to comment and will keep a tally on who is leaving the most helpful comments for others:) That person’s reward will be a mailed copy of Heather Burch’s book *can I get a woot, woot* I’ll announce that winner on my regular blog next Wednesday also. Okay, nuff said. Until next time . . . So, what about you? 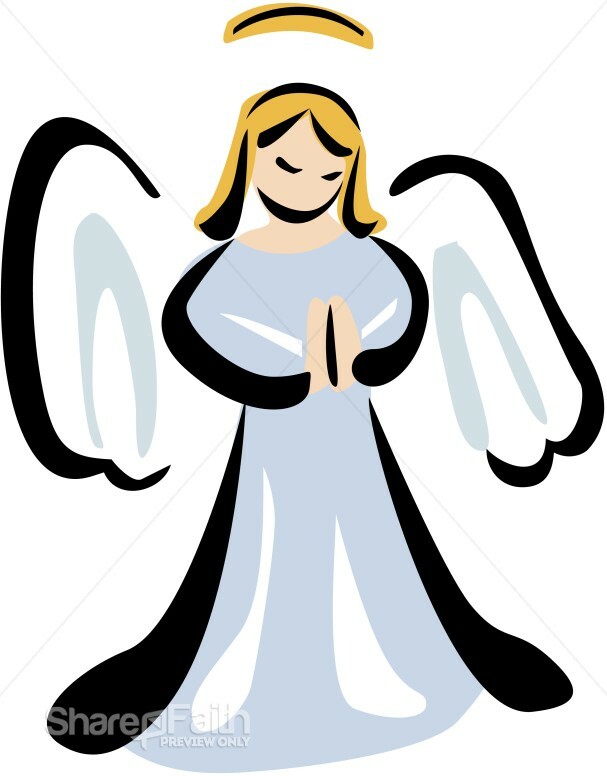 Do you believe in angels, or are they just another book character? One fellow writer I know who believes and writes about them is newly published author Heather Burch. Stop by here next week to hear her perspective on the whole process, & earn a first page critique from her & maybe even her book! Sidenote: For the first time, I’m writing a fantasy YA & angels are in it, baby! It’s been a lot of fun.